EMS Office Hours: Monday – Friday 8am – 4pm excluding holidays. 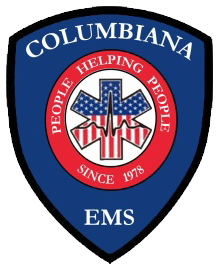 Columbiana EMS Dispatch services are provided by the Columbiana Police Department. Dispatch operates 24 hours a day, 365 days a year. If you have any billing questions, please visit Billing Inquires.